I'm back with my 'How to Introvert Like A Pro' series. I guess I haven't changed much from two years ago since I'm still comfortable shopping for stuff at the comfort of my own room. If last time I talked about how easy it is to buy your groceries without going out, this time I'm gonna share with you on how I shop for clothing! Seriously, with the booming of Muslimah fashion in Malaysia and the evolution of hijab trends, it'll be very hard to keep up with the flow if you don't have the 'knows hows' yet. Personally, I'm not much of a trend follower & prefer a more 'my style' kind of look. My hijab style is very simple & basic and my favourite hijab material and type would be the chiffon shawl. It's just so easy to handle and since they come is such wide range of colours, I can match them with any of my cloth! When it comes to buying a new one, I would say that I prefer to check Carousell platform once in a while especially since it's literally just a few clicks away on my trusty phone. As Carousell is a platform that allows individuals to buy or sell their items very easily, I would say that it is of the cheapest places to shop for hijab in Kuala Lumpur too; especially when the offers available are endless.Since the platform provide access both from the computer browser and app, it's very easy to make a deal to purchase. The interface helps my shopping experience to be seamless and hassle free. There is a huge selections of hijab type available on Carousell. 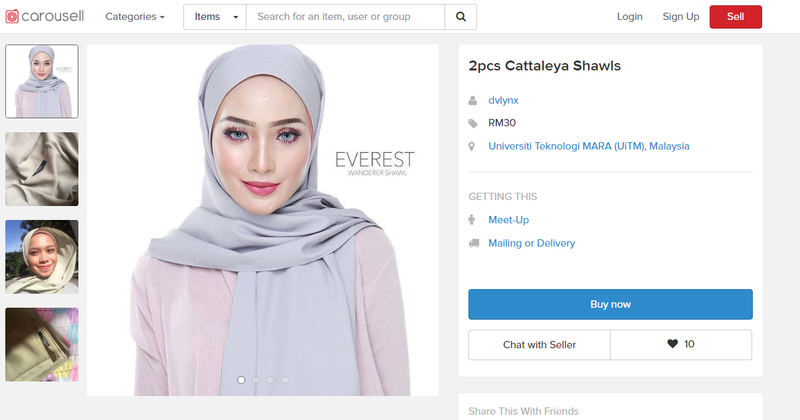 From basic shawl to printed ones, just search up and the result with show you different ones for you to choose. If you want to go cheaper, just dig deeper! You might even find some pre-loved hijab for sale too! 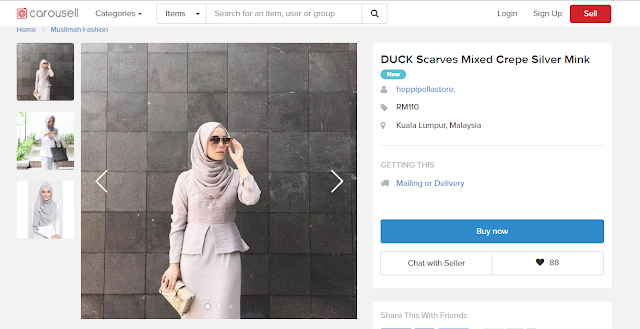 If you wanted something more exclusive, there are also some users that are selling a more 'premium' hijab line such as the highly raved Duck scarves. With this, you can still keep up with the trends even if you are 'too lazy' to go out shopping. Such a big help for introverts like me! My tip is to check out the Muslimah fashion section on the website and start finding your perfect hijab! 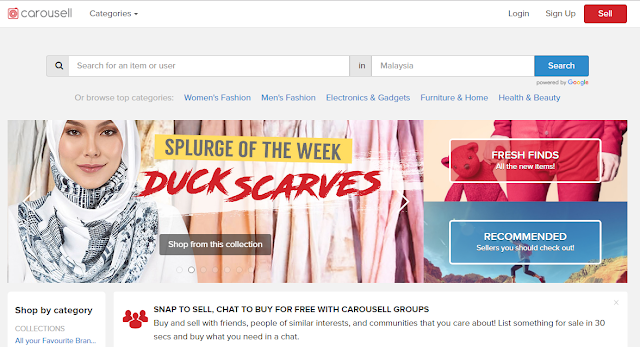 For more information on how to buy & sell on Carousell, visit their website my.carousell.com. You can also find me there! P/S: Carousell is currently holding a contest. Winners can stand a chance to come to Zul Arriffin meet & greet session on 18th March 2017 and win his autograph! For more info about the contest, visit CarousellxZulAriffin now.